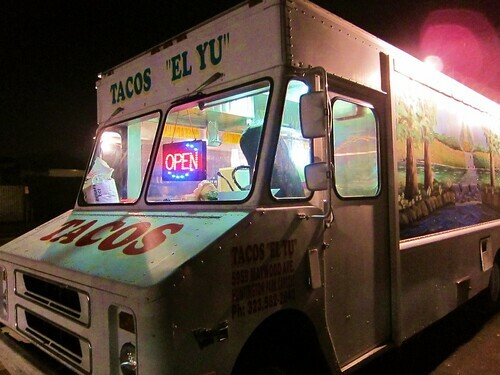 Out of all the taco trucks in the area Tacos “El Yu” seems to have the greasy taco truck taco with spicy chile salsa concept down. 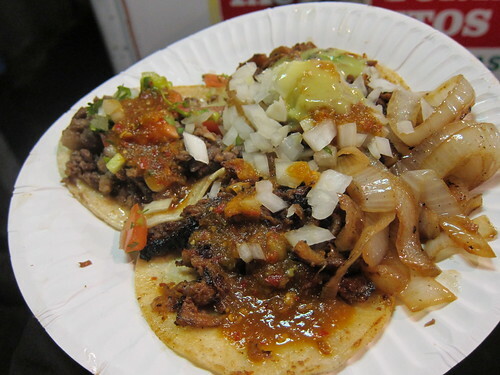 The tacos come piping hot lathered in grilled onions and the salsa bar is equipped with all the fixins you could ask for including a pico de gallo and three other salsas (roja, verse, avocado). 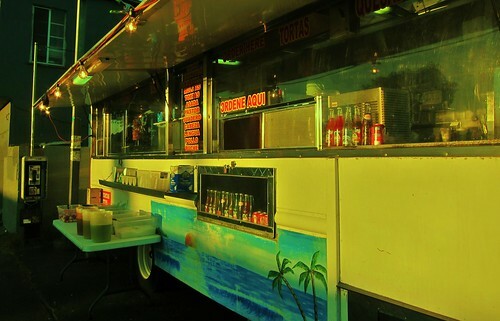 The spot is a prime location for a taco truck. It’s right off the 10 at Normandie in the lot of a Chevron Gas Station that is no longer in service.. The gas station serves as a parking lot for the taco patrons, who look like they know a good taco when they see it. There’s a steady flow of business both by foot and by automobile. 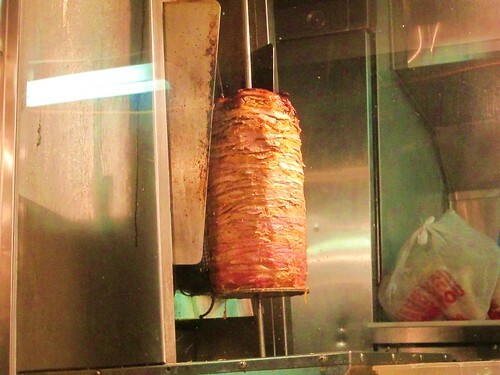 The al pastor is cut from the spit then griddled until it has a charred texture. Purists may scoff at this and after eating the pastor at Leo’s I’ve been converted to somewhat of a purist. But there are good flavors here and the charred texture of the pork and the salsa go well together. It tastes great and that’s all that matters. The carne asada is soft and buttery with a light sheen of grease that soaks into the tortillas. 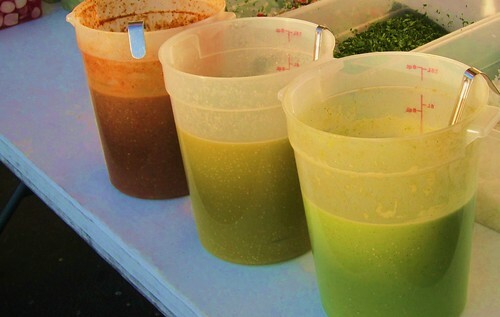 The salsa, an orangeish chile arbol blend nips at the tongue. A shot of lime works wonders to bring out all the flavors. The avocado salsa, a less spicy counterpoint to the salty pork provides a little variety. I ordered two more (al pastor, asada), peppered them with the salsa roja and walked back to my car. It was real dark on the lot once you got away from the truck. Some cars pulled up and slotted into the aisles where the gas pumps were and people ate on the hoods of their cars in the dim light. A car turning on to Normandie from Adams would throw a mass of light on the lot for a brief moment and then it would go dark again, the shadows it caste on the wall slipping back into the night. 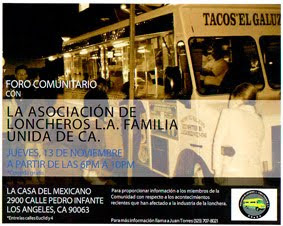 The tacos were great. I can’t complain. And I’m not that hard to please. There’s no such thing as perfection and there’s no sense in criticism for criticism’s sake. There’s just the feeling you get after the last swig of jarritos and with the taste of chile on your breath that it was all worth it.